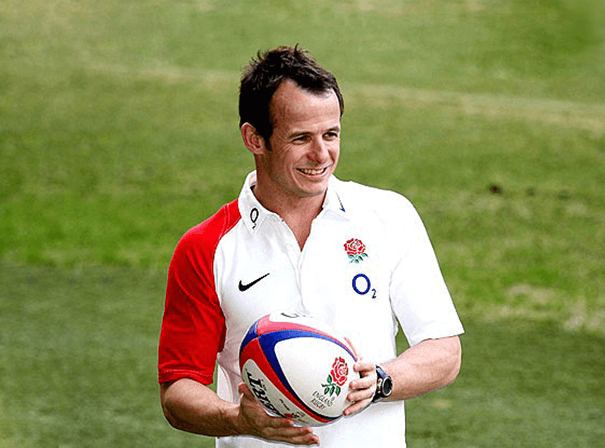 One of the most recognisable players of his generation, Merseyside born Austin Healey was a fine English rugby player at both domestic and international level. A well educated man who is now a published author, Austin is also a regular on TV and as such is a really popular sporting star who appears at many events and functions, diners and ceremonies and is a fine after dinner speaker. Often used as a high impact sub, Austin is a competitive character who played 51 times for England. His main domestic side was Leicester for whom he played 237 times, and in that period he scored 322 points. A fine utility player who was as able to turn out at scrum half as he was fly half, full back or on the wing, he was a pace, rugged rugby star with great handling skills. As such, it is no shock that he was called up twice for the British and Irish Lions and has since become a regular on UK TV. In 2008, he took part in Strictly Come Dancing and made it to the quarter-finals, with dance partner Erin Boag, and achieved the highest score ever for a Paso Doble, and the highest male Cha Cha and Tango scores throughout any series. He has also been on Who Wants To Be A Millionaire, hosted The Fuse on ITV and has been on Mastermind, so is a regular behind camera and does a professional job each and every time.